Could a stranger enter your office and operate your business? They could if you have a business model that defines each step of your business process. Create one by using a simple business template that provides actual business processes. Start with an outline of what you do each season of business. Sell Product or Services Define your product or services within a pictorial scale, including price, value, and description of what each entails. Give your products names that identify, define, and value the individual product or service, and then put them in your product or service journal. Define Niche Market Identify your buyers. Who are they? How much will they spend? How often will they buy? Will they return for more product? Are you going to meet them personally, or online? Will your buyers come to you, or do you take your sales to them? Select Payment Options How will you be paid for products and services? What finance plans will be available? Decide how you will accept payment and whether your accounting program will be cash or accrual. Will you send invoices, statements, and other billing options? How will you communicate collections? How Product is Delivered One of my favorite sections of the business model is the product section. We get to define our product, decide how it’s produced, and how to deliver our products. Some products are easy to figure out, others require a bit of finesse. The business model offers you a selection of methods for delivering not only one product, but several products. You can drop ship some, while personally shipping others, and some can even be digitally transferred. The key is to have a plan and know what happens with each product grouping. 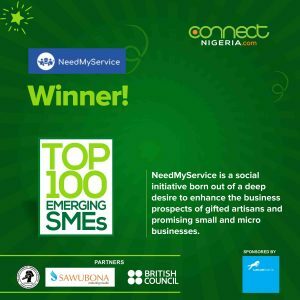 Service Delivery Options Another key component of your business is the overall development and delivery of services relevant to the end game of business transactions. Every business has a certain number of services, but determining how those are performed, delivered, and completed is part of the overall business model. Functional Business Models can be as complete or as circumspect as you wish them to be, but for more automated systems, or for systems that are operated by non-owner entities, the more complete the Business Model, the easier it is to hire assistants to complete the work. Creatively put as much effort into your Business Model as you expect to get out of it. The better it is written the more effective it will be. Score Cards and A Book of Procedures might be important with your Business Model. These offer simplified methods of business, and distinctive directions and procedures for each segment of business. If your business model needs some attention, you might want to contact a consultant.